Gareth S. submitted this photo and caption. I think this photo best typifies the activity. 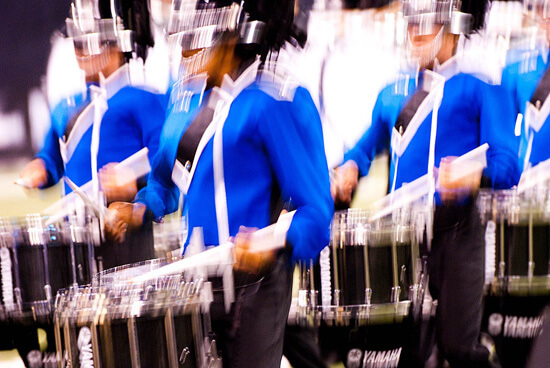 This shot is of Bluecoats on the move at Lucas Oil Stadium during World Championships week.